Edited by Victoria Bean and Chris McCabe. Designed by Robert Boon / Inventory. 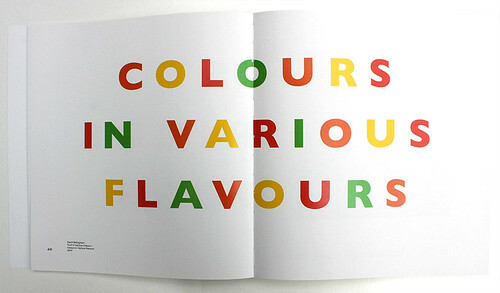 Hayward Gallery Publishing, £30. 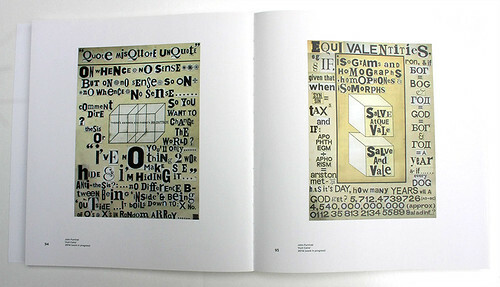 The original postwar ‘concrete poetry’ movement, with its aspiration to a utopian ‘supranational’ poetry of untranslatable symbolism, was characterised by an emphasis on type in white space: the flat material surface of ‘rigid, non-sensuous’ printed language, writes Jeremy Noel-Tod. Jen Bervin, Studies from Draft Notation, 2014. 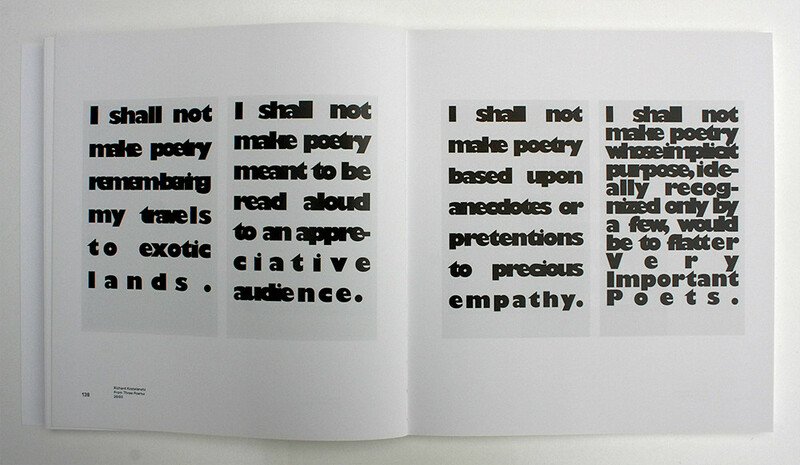 Top: Richard Kostelanetz, From Three Poems, 2003. 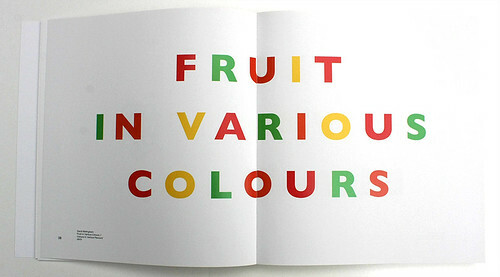 David Bellingham, ‘Fruit in Various Colours / Colours in Various Flavours’, 2013. 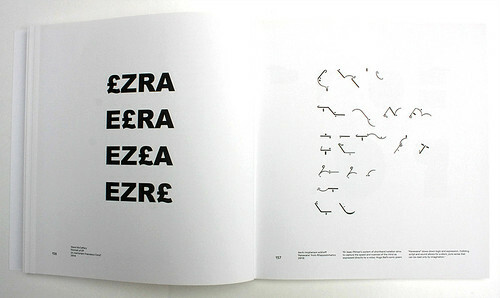 This rich, lively anthology of post-2000 visual poetry nods to the greats – such as Ian Hamilton Finlay – who worked with clean, classical lines and ideas. But it also exhibits the work of a number of younger writers and artists whose inky, anarchic, hand-made aesthetic of layered words, letters and other marks gets closer to the Latin root of ‘concrete’ – that is, ‘grown together’, of a substance that has condensed, congealed, stiffened, set. Steve McCaffery, ‘Portrait of EP (in memoriaum Francesco Conz)’, 2014 (left and Kevin McPherson Eckhoff, ‘Karawane’ from Rhapsodomancy 2010. The recent popularity of glitchy organicism can, perhaps, be read as a reaction to life spent among the stained and lichened concrete utopias of the last half-century. Jen Bervin, for example, brings textile weaving to bear on abstract samplers sketchily stitched from repeated typewriter characters. 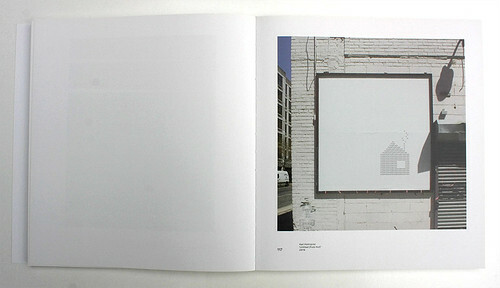 Karl Holmqvist’s ‘Untitled (Fuckhut)’, on the other hand, creates a neat story-book house out of upper-case repetitions of that four-letter word, but then frames it photographically on the rough brick wall of a city building. Karl Holmqvist’s ‘Untitled (Fuckhut)’, 2014. 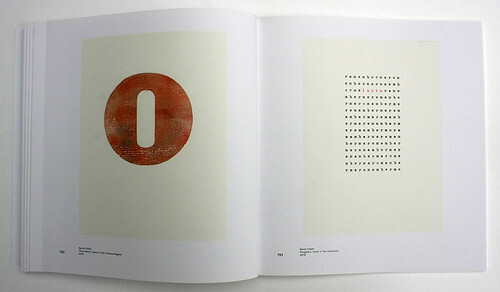 To anyone even passingly familiar with the concrete canon, Holmqvist’s hut of FUCKs – with its one square window of white space – appears to cite Eugen Gomringer’s early classic ‘silencio’ (1954): a rectangle composed of eleven sans serif iterations of the same word, framing a missing twelfth. It is good to see the nonagenarian Gomringer in here, alongside other veterans, such as the Brazilian Augusto de Campos, whose ‘Market’ (2001), globed like a corporate logo, begins ‘all for sale’ and ends ‘no poem at all’. Augusto de Campos, ‘Sem Saída, 2000 (left) and ‘Market’, 2001. 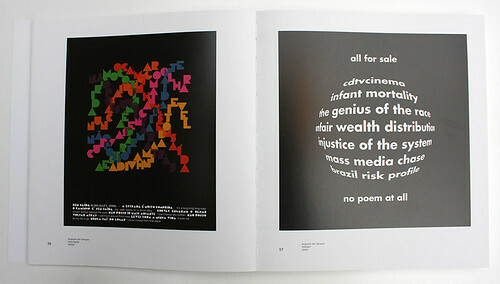 The American conceptual poet and avant-garde archivist Kenneth Goldsmith rehearses the history of concrete poetry in an introductory essay written with an enthusiasm for the material history of the movement, but a weakness for literary-critical cliché (like a hundred others, the essay is titled – after Ezra Pound’s Modernist motto – ‘Make It New’). 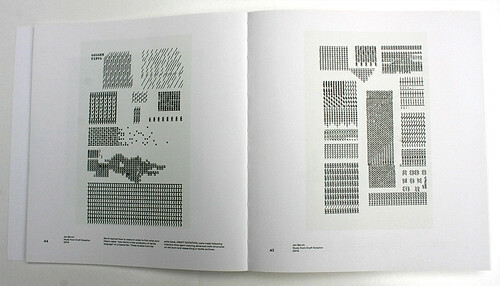 Victoria Bean, one of the editors, includes her own elegant visual poem, ‘The World Geography of Concrete Poetry’, in which names of countries are picked out with red caps down a centre-justified text. Her co-editor, Chris McCabe, meanwhile, concludes with a witty essay called ‘A Feldspar of Symbols: A Motorway Journey into the New Concrete’, which grounds such artistic production in a sign-thick landscape that is also a stratified cultural history. John Furnival. ‘Huit Coins’, 2014 (work in progress). Barrie Tullett, ‘The Inferno: Canto IV The Virtuous Pagans’, 2015 (left) and ‘Purgatory: Canto V The Unshriven’, 2010. 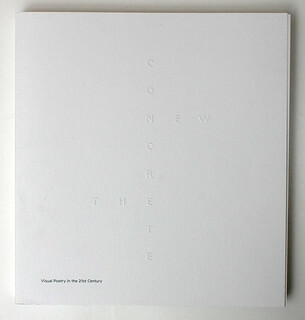 Cover of The New Concrete, Hayward Publishing. Design: Robert Boon and Alberto Hernández, Inventory Studio, 2015.